Dr. Leahy is a Knoxville native, and he graduated from the University of Tennessee, Knoxville, and the University of Tennessee Health Science Center College of Medicine, Memphis. Dr Leahy completed his internship and residency at the University of Tennessee Memphis. He is Board Certified in internal medicine and is a Master of the American College of Physicians. 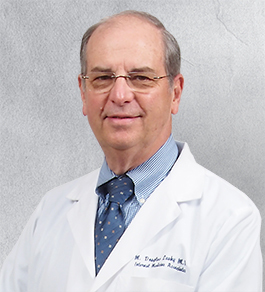 Dr. Leahy has practiced since 1978 and he is both a founding member of Internal Medicine Associates and Summit Medical Group. To request an appointment with M. Douglas Leahy, MD, call 865-546-9751 and press 3. Specifically request an appointment with M. Douglas Leahy, MD, with the appointment manager.